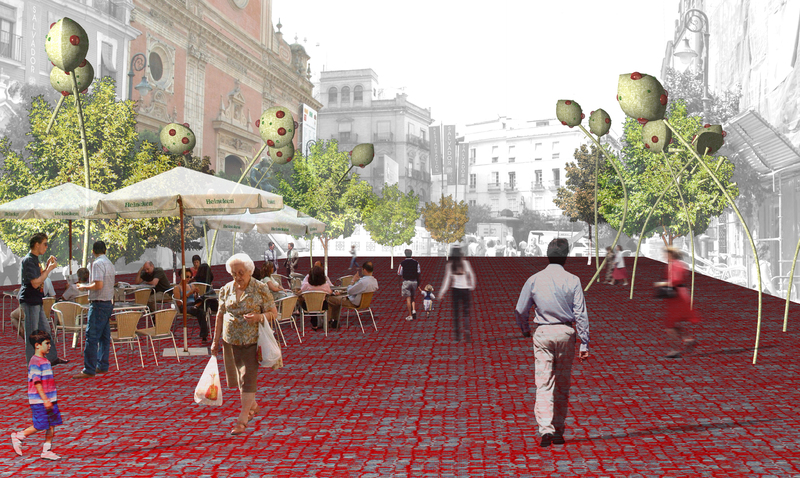 1.Pavement restructuring: do with the urban memory and the continuity of a corporate image of resurfacing of the new pedestrian areas that will have to the city: stones and red ocher color, which will appear in joints, so that stones would become easier to walk on and more nonslip. 2.Infrastructure: specific elements were designed to created different ambiences. Bio-lights that produce different lighting, slight air conditioning and sound that also support traditional marquee systems. 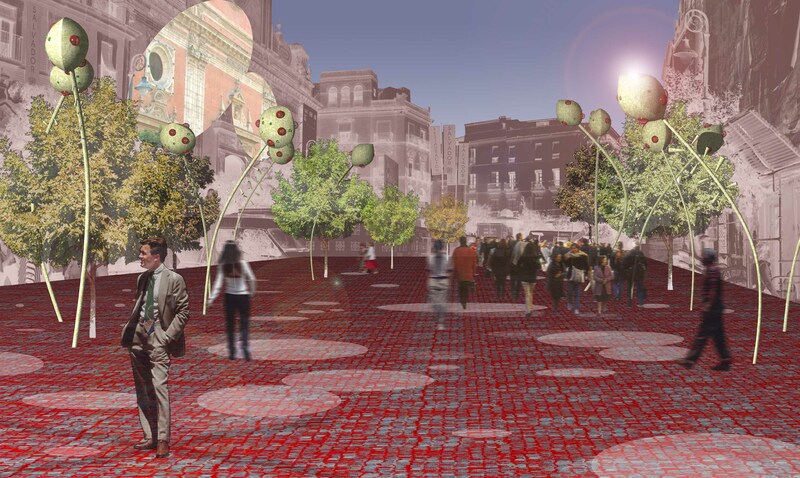 In addition to this infrastructure the proposal pretends to homogenize any type of contemporary atmosphere fittings that the square requires into this single element.